In 2010, former 1984 St.Lucia Carnival Queen, Erene Charlemagne founded the carnival band, Looshan Revellers and portrayed the theme "An American Indian Adventure". The band even promised to cater to the elderly who may have wanted to participate in the carnival festivities. 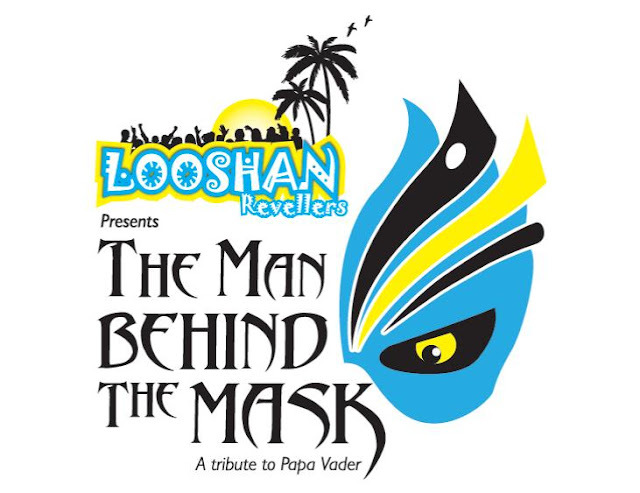 When carnival was said and done that year, I was most impressed with Looshan Revellers when St.Lucian carnival was rebroadcasted on a local station. Again in 2011, while I sat at home pregnant and peeved that I was not part of the carnival excitement, watching Looshan Revellers "A Carnival Extravaganza" solidified my opinion that this small size band was visually dynamic, so eye catching across my tv screen. 'Papa Vada' as he has become known has been recognized internationally for his contribution to the development of the calypso art form in Saint Lucia and as a prolific entertainer. He started off in the St. Lucian entertainment business on January 31st, 1983. Papa Vader who is a four-time Calypso Monarch, seven-time Road March Monarch, one-time Extempo Monarch, two- time Soca Monarch, one-time King of Kings and the Buy Local Monarch says that he is extremely proud of his achievements. In 1999 he was inducted in the Baron Foods St Lucia Calypso Association Hall of Fame and was awarded the Saint Lucia Medal of Merit (Gold) in 2001 for Long and Meritorious Service in the Performing Arts – the first calypsonian to have been so recognized in both areas. 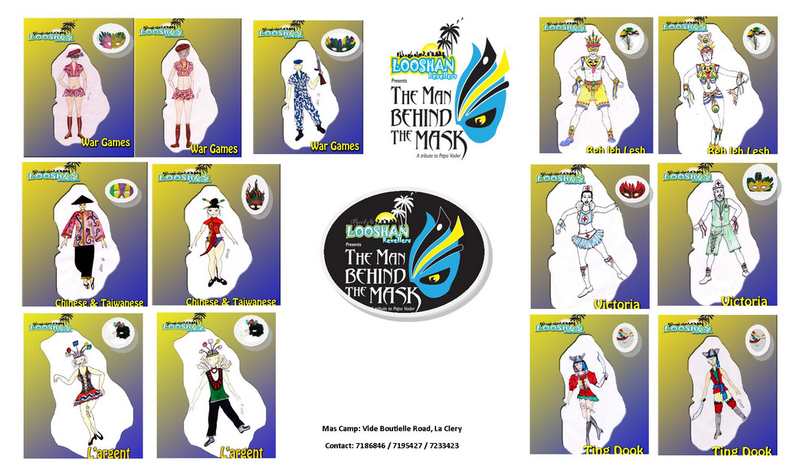 Invader’s contribution to our Carnival product is undeniable and he has over the years continued to entertain and educate as only a true calypsonian can. In addition to his many appearances on stage, Papa Vada also added to the face of the administration of calypso when he introduced the Soca Village International – a calypso tent which continues to produce quality artistes and entertaining music. The male sections: Taiwanese & War Games will be sleeveless and 3/4 pants.